I want to join a company that…. If I was looking for a job right now what would I want to see from the ideal company? • Unbounce gives every employee a $500 annual budget to spend with colleagues outside the office, as well as $500 towards gym membership and $1000 towards taking a vacation, every year. 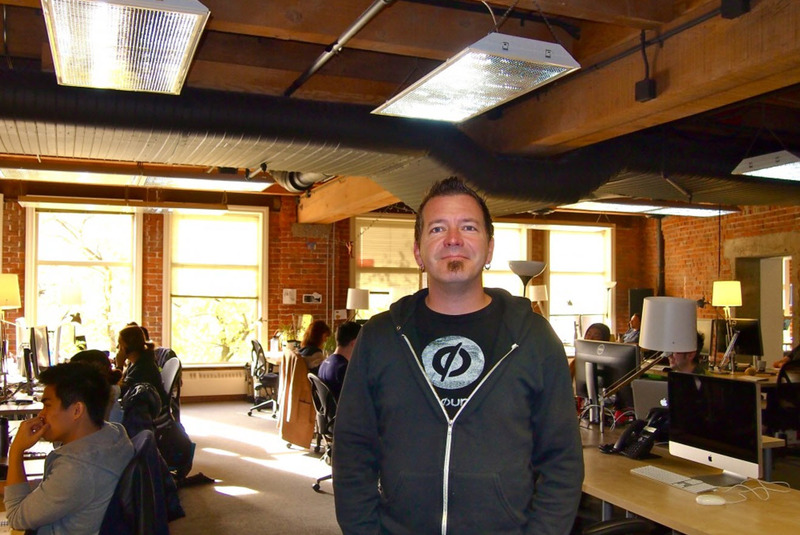 • Unbounce saves $1.5m on recruitment fees through its hiring process. • The company believes in full transparency, where nothing is off the table — including the financials. • Startups recognise that their success hinges on their ability to hire the right people. The challenge in a talent market that is only going to become more competitive, is that the best people know how good they are and therefore can pick and choose which companies they want to work for. If you really want to be able to attract the best of the best and convince them that your company is the right partner for them in the next phase of their journey, you need to be able to put yourself into their shoes. • Where the website communicates why they are doing what they are doing and why they are different. The more I learn about the company through the interview process, the more I want to work there. • That demonstrates clearly that they only hire the best and have a very high bar for hiring. • Where I recognise that the hiring process is designed to bring in smart, passionate, creative people who get treated well. • That seeks excellence, rewards merit, encourages solution thinking, and gives employees the autonomy and freedom to make good decisions for the end user. • With a high-performance culture that is NOT right for everyone. • Where the team is truly passionate about solving a real and significant problem. • Where they don’t measure me on how many hours I work, rather on the great work I accomplish. • Where candidates are chosen for interview based on ability, technical knowledge, and cultural fit. • Where I won’t be micro-managed: the company trusts their people to be self-motivating, self-aware, self-disciplined and able to make the right decisions. • That can clearly articulate and demonstrate how they nurture, develop and live their culture. • Where the culture and values are lived by the company, and I can tell that they are a good match for mine. • Where I am able to grow and develop as a person. • Where if for some reason I decide to leave, I will be an asset to any other company in the future, by virtue of working for this company. • Where the company has a broader purpose than to make money or exit. 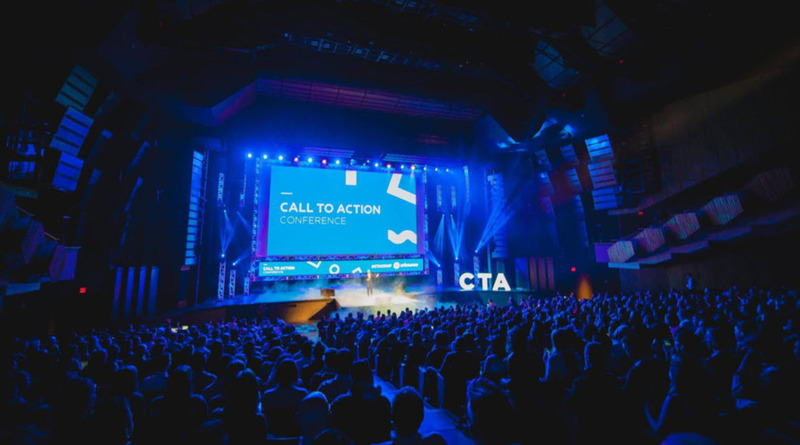 Rick Perreault, the CEO of Unbounce, has — together with his co-founders — built a strong company culture that ticks all the boxes above for the type of company that I would want to work for, were I looking for a job. Unbounce helps marketers and digital agencies increase website and campaign conversions. Their landing page and conversion marketing platform allows marketers to quickly create, launch and test high-converting landing pages and website overlays without developers. To date, Unbounce has powered over 250 million conversions for marketers around the world. When did you first start thinking about company culture at Unbounce? The Unbounce founders started talking about our culture from day one. We had all had experiences at companies that weren’t the best places to work, where the culture wasn’t the greatest and employees were treated like commodities. We all knew what it felt like to work in a bad company culture, so we set out to build a positive and strong one from the outset. Initially our culture evolved and developed organically; we didn’t define or write down what our culture was but we knew that we wanted Unbounce to be a truly awesome place to work. We started to really focus on defining our culture and work environment when we reached about 30 or 40 people. We knew we were going to continue to grow rapidly and in order to do that effectively and efficiently we needed to have our culture clearly defined. 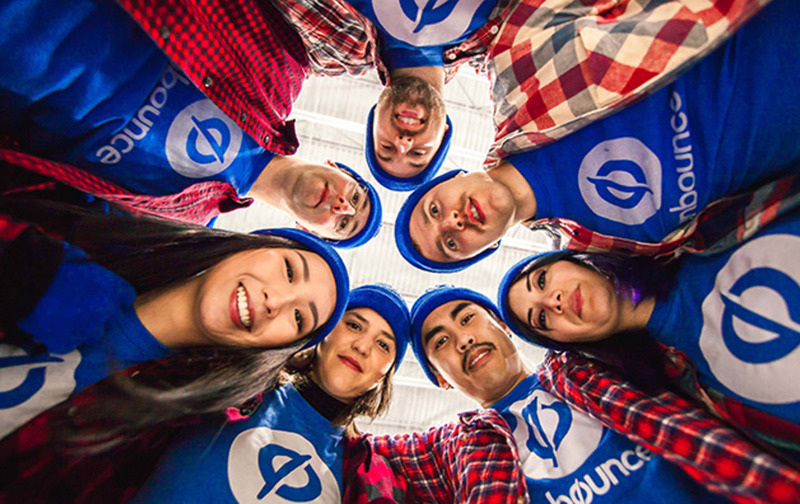 Today, Unbounce is a team of 180 people operating across three offices (Vancouver, Montreal and Berlin). Defining and embedding our culture continues to be the foundation that has allowed us to scale effectively so far. What did you do to define your culture? The Unbounce founders went on a strategic planning retreat where we discussed what really matters to us, and what we want to stand for as an organisation. We looked back at the business and realised that we had created an environment where our values were for the most part being lived by the team already. This was undoubtedly because as the founders, we had such strong feelings and agreement about culture from the start of the business. For example, take our value of transparency: we are and always have been transparent in terms of the business financials. There is nothing off the table when it comes to the numbers. We have always been very open about where the business stands so that our team can make more informed decisions. It turned out that our values, although not written down, were not artificial in any way; they were things we were already living. We defined five or six key things that were important to us, parts of our culture that we valued and didn’t want to lose. It took us about a day’s work to define our values and we were unanimous. We wrote them down and rolled them out to the company. Our values were invisible and subconscious before we wrote them down and when we got them down on paper it was like an “Aha!” moment for the team. It simply made sense. Writing our values down and getting the collective agreement from the team allowed everybody to start to live by these values. Equally important, it ensured we weren’t working against them. Once we had collective understanding, we could integrate our values into our business decision-making and how we evaluated our teams. Four years in, our values are now second nature to us. We also developed our mission statement and vision a year ago. Our mission is to empower and enable marketing teams and agencies to grow their business with the best conversion tools on earth and our vision is to help businesses grow faster. What are the company values? Give me an example of a value you are pushing to integrate into the company and the impact of that value. Courage is something we continue to push internally because it helps us strengthen and build our feedback culture. We want our people to be able to attend a meeting and have the courage to speak their mind, or to have the courage to test things and make changes for the better. We want people to ask for and give feedback on a regular basis; if you are courageous you will be comfortable in either the giving or the receiving of feedback. We have been discussing whether we need a seventh core value to describe what it means to give effort over and above what is expected. We are about high performance and high quality, and this is a behaviour that we see in our people that we don’t see represented in our list of values. The Unbounce people and culture team introduce our values to potential candidates during the hiring process. The leadership shares the financials with new employees and with the entire organisation at our monthly Town Hall meeting. We also take the opportunity during these Town Hall meetings to discuss what’s going well and more importantly where things are not going well. We try to be as transparent as possible. Outside of what we share with the Unbounce team, we write a blog post once a year and share the business’ financials with the whole community. Sharing the financials via the blog is a great example of how living the transparency value can have a positive effect. Hiring is very competitive in Vancouver and we have had situations where candidates have chosen Unbounce over other companies because we deliver on our transparency value in this way. Our team has gamified our values with company core value cards. If someone notices a fellow employee living a value they are encouraged to write it down on the relevant core value card and share it with that person. This has turned out to be a very successful tool because our people are now collecting the core value cards and you can see them piling up on people’s desks. Noticing one of the values, like a courageous act, writing the act down on the card, and giving the card to the person is a fun way to remind people that these values are really important to us. Work can get tough at times and it’s a really nice surprise when someone notices what you’ve done. We use Slack for our internal comms and have developed our own core value icons in Slack where people are able to give the generosity icon instead of the thumbs up. It’s a small thing but they all add up. Courageous seems to me to be an interesting value to aspire to. Can you give me an example of a courageous act? The Unbounce pricing page is a great example. We hadn’t changed or improved it in ages and one of the team suggested that he could improve it. No one else wanted to touch or mess with it because it worked and people thought there was no point in doing anything that could end up breaking it. It was also so important to the business that people thought it better to leave the page alone. The team member went ahead and made the changes he’d been imagining and he was right — we started converting better. That’s a good example of being courageous. How do you handle onboarding? • I meet with the new joiners at the end of day one for an hour so that they can ask me anything about the company. Most, if not all, candidates go through the customer success training when they join the company. One of the activities they learn is how to handle customer support. It’s important that our people learn about and build empathy for our customers because customer success is a major focus of our business. If the new joiners make it through the probation period, I will meet again with the whole cohort to welcome them fully to the company and answer any additional questions they may have. I want every employee to know that they can knock on my door at any time if they have something to talk about. This helps creates an open environment for communication — if you ask the CEO anything and talk to the CEO about anytime, then you can ask questions or talk to anyone in the company at any time. How would you describe the way you build and manage the Unbounce culture? “You can’t create culture, but great culture may develop as a result of a handful deliberate actions. Let me elaborate. I’m a bit of a hobby gardener and I’m starting to get pretty good at it. However, I can’t grow great tomatoes. What I can do is create the conditions that improves the chances that I will have strong healthy tomato plants that produce a plentiful tomato harvest. What else are you doing to improve the culture in the company? We are also looking for ways to help families because a lot of people in the company are starting to have kids. We offer a salary match up for the first month so that the father can take some time off. There is a government-run employment benefit scheme in Canada but most men don’t take it because it would cost the family money. With our salary match offer, fathers can take a month paternity leave fully paid and spend the time supporting their family. We have received letters from wives telling us how amazing it was to have the full support of her partner. Everybody gets an annual budget of $500 to interact with colleagues and new people outside of the company. The aim is to make a new valuable contact and learn something new and then to bring their learning back in to share with the company. We buy a keg of beer every Friday and at the same time we encourage a healthy lifestyle by giving everybody $500 towards gym membership. We give everybody four weeks’ vacation and we give each member of staff a cash bonus of $1000 to actually do something during their vacation. Rather than have a staycation we prefer for our people to go out and experience something exciting. We know that people need to take a break and when they do, they come back refreshed and more productive. We are considering opening an office in Victoria, which is 3 hours west of Vancouver where house prices are more reasonable. We want to create a situation where some of the younger people can afford to get on the housing ladder. It’s still early days but we are starting to do some experiments with fully remote teams to see how it works. The key, if we do decide to create another office in Victoria, is to maintain the company culture in the new office. We are also exploring childcare options where we make it easy to share the cost of daycare. Our aim is to make things as easy for our people as possible; we don’t want to disrupt their lives. How are your investors dealing with the amount that you invest in your people and culture? One of my investors asked me why we invest so much in our people. I explained that the numbers speak for themselves. For example, last quarter we had less than 1% turnover, which is incredible. Not only that but 99% of all our hires are made without the assistance of a recruiter. That means, at a 25% recruitment fee, we save in the region of $1.5m annually. When we do lose an employee, they are rarely dissatisfied with their role or the company, but often are going to join a company where there is an opportunity we can’t offer them. We do employee surveys twice a year and 95% recommend Unbounce as a great place to work. Our glass door score is 4.9/5.0. I think the investor was pretty happy with my answer! How are you building awareness for Unbounce in the local talent market? 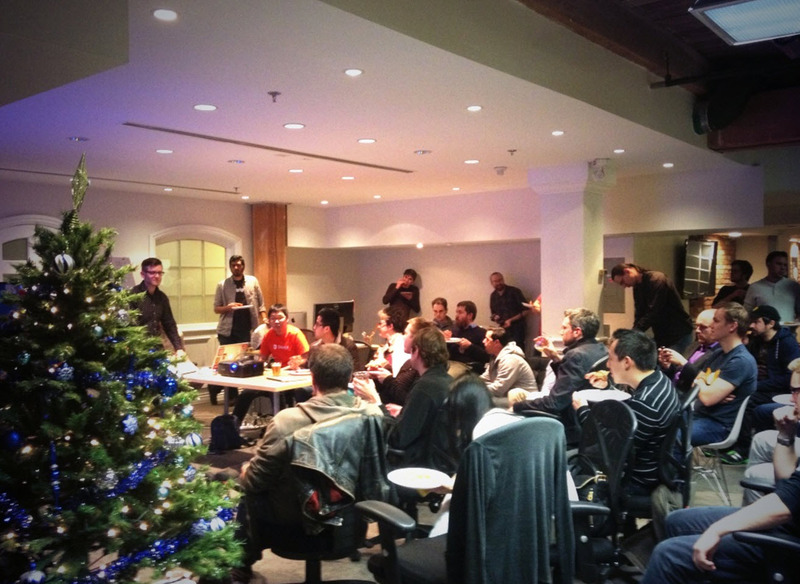 We have quarterly open house where we invite people to come in, experience the company and talk to the Unbounce team. We encourage our people to bring a friend and during the day we share the Unbounce experience with them, so that they can become ambassadors and spread the word to their friends. We also have a 200-seat space that is the lunchroom by day, and we offer that space to the local tech community so that they can host different events, such as the monthly Ruby developer meeting. We often have 200 engineers come to listen to or participate in a talk and we keep them fueled by sponsoring the pizzas and the beer at these and other events. The idea for the community space came about through a funny situation, which we experienced when we were about 30 or 40 staff. At the time we were really struggling to hire new people as we had maxed out our networks and we couldn’t figure our why we weren’t getting a great response to our ads. 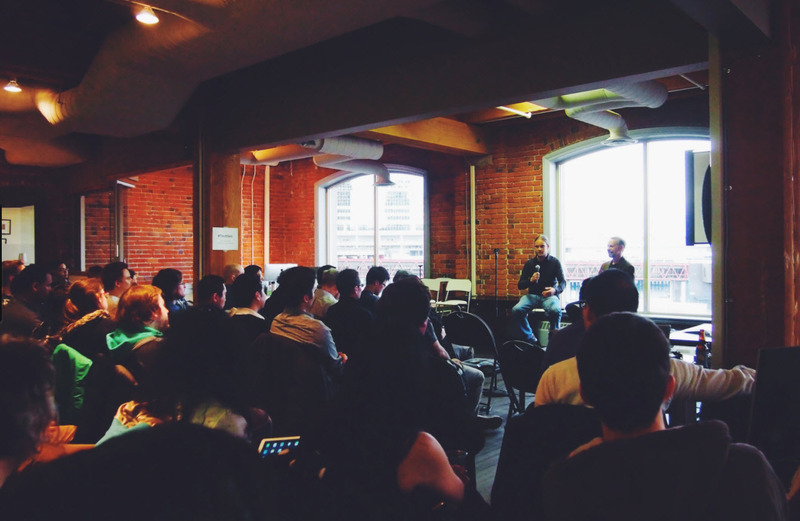 Around that time I went to speak at a startup event and when I left the stage one of the attendees at the event said that the next time we were in Vancouver we should come and check their company out. This surprised me as I told him that we were based in Vancouver. He actually thought we were from Silicon Valley, and it turned out that this was one of the main reasons why nobody was responding to our ads — they didn’t know we were based here! We have now changed that with our event sponsorship and community space. This first-of-its-kind handbook decodes the culture decks of companies like Netflix, LinkedIn, Hotjar, Hubspot, Hootsuite, and Valve.